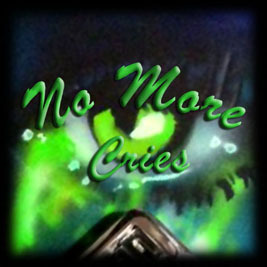 No More Cries are based in Quesnel, British Columbia. They play an energetic blend of blues/rock informed by the masters of the genre past and present. 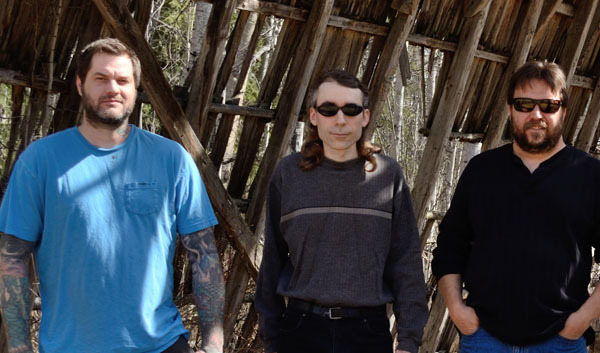 No More Cries evolved in 2013 with Gary on bass, Eric Johnson on guitar, and Wade Wurm on drums. Gary explains: I met Eric in his tattoo parlour and we connected like brothers instantly. I met Wade in 1988, while working at Toyota, but unfortunately he was unable to continue with us due to a much-deserved life opportunity. Richard Halliday, a long-term friend since grade two, then joined us. The connection of the three members gelled thanks to his help and experience. Currently we are enjoying a brand new personal recording/jam space at my home with much current recording technology and vintage gear, and looking forward to recording more than 20 original songs written as a group. We're thankful for recently having the pleasure of meeting our extremely talented technical advisor and recording sound technician, also producer of his own music, Joshua Blanc. His quality mixing, visual expertise, and great personality are a valued asset to our group. 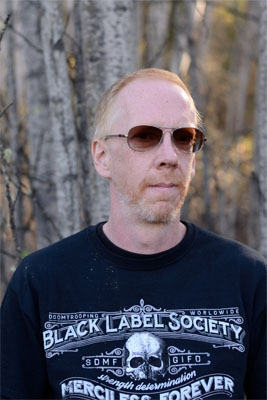 2017 brought a minor crisis to the band, with the departure of Richard in the summer. Gary, Eric, and Josh have kept the spirit of the band alive while we search for a full-time drummer to match his expertise. 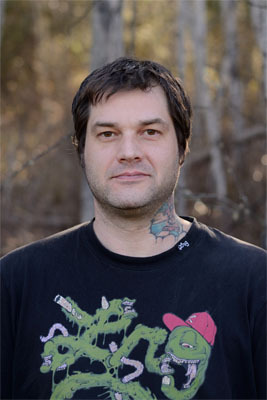 Chad Stump, from the legendary band 'Kordaroy', and Jason Stinchcombe have both done a fantastic job filling in for us. The story continues ... ! Gary Hartley (lead vocals, bass guitar). Born July 15, 1967 in Quesnel BC, Gary William Kennedy Hartley. Grew up in the Bouchie/Milburn neighbourhood. Attended Bouchie Lake Elementary School, then later QSS and Correlieu Secondary School to 1985. Played minor football 1980-1989 including head coaching for 3 years. Spent most weekends camping and fishing with family all around Quesnel and Nazko-Chilcotin areas. The 1980s grabbed me with the harder rock based on blues licks and lyrics: Kiss, Black Sabbath, Scorpions, ACDC, Foreigner, Ted Nugent, REO Speedwagon, Great White, Quiet Riot; all the long-hair hard rock bands of the late 70s and all through the 80s. Musical family background: my father played rhythm guitar and sang vocals in a band called The Standells (1961-1965) who played every local dance hall and school dance in the Quesnel area. Uncle Gary Hartley Sr. played trumpet and sang vocals in the same band. The Standells practiced on Malcolm Street, West Quesnel, for a live party consisting of family and friends including Grandfather Bill Hartley Sr. who played electric steel slide guitar and sang when needed. I started working on cars in 1984 and continued to an auto apprenticeship at the local Toyota dealer until 1992, and ran my own successful car audio detailing business through to 2015. Building custom cars, and music of every sort, has been in my life from an early age: playing/installing custom sound systems in cars and houses, collecting home hi-fi gear and guitars. I've also been racing local Karts for over 15 yrs. Married my partner, the love of my life, Alana who is the backbone of our lives together forever, who has kept me a leader and confident in life for over 25 years. We share common interests and awesome family and many, many good friends. Eric 'Sonny Boy' Johnson (guitar, vocals). 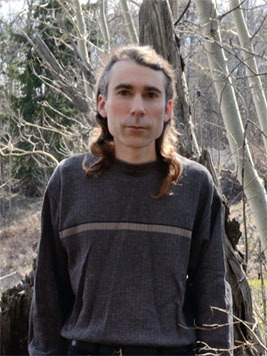 Joshua Blanc (keyboards, synths, backing vocals). Originally from a planet called 'Australia', Joshua has been a life-long fan of music and sound. Growing up with 70's rock and new wave, he tries to bring some of those flavours to the band. He has no formal music training, but a passion for synthesizers has fuelled an (unhealthy) interest in composing and recording electronic music (as 'The Manitou'). Joining the band has been a great opportunity to improve his keyboard skills. In his spare time (what's that???) he's also a writer and photographer. 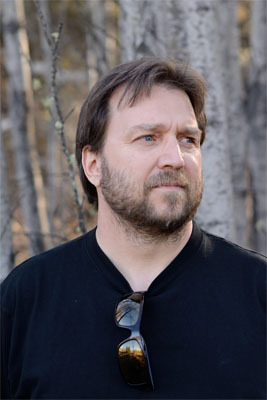 Chad has thirty years' experience as front-man of 'Kordaroy', a band well-known throughout the region for playing rock and country classics and originals. Equally talented behind a guitar and microphone as he is behind the drums, he's been quick to fall into step with our sound and vibe. Jason is our newest recruit, having come to us through a mutual friend of Eric's. He has some serious skills and we're looking forward to seeing how things develop. Richard Halliday (drums, percussion, vocals 2014-2017). Allegedly born on Earth. Waylaid at a young age from common sense by the lure of easy money and fast women, Richard then spent 30+ years in (near) fruitless pursuit of the perfect music note: travelling from B.C. 's interior to the eastern provinces, into the great unknown U.S. of Ay, and into the frozen deathlands of the Yukon, playing all manner of musicisness(?) until finally returning to his home hatchery of Quesnel, B.C. to live out his teenage dreams as gong artiste with supergroup NO MORE CRIES! Richard bowed out of the band in summer '17, leaving behind four great original songs, an album's worth of superb drum tracks for our debut LP, and many cool memories.